John Bell leads a technology team whose size rivals a medium-sized business in New Zealand. The CIO of Fletcher Building has some 400 IT staff, composed of 300 permanent full time employees and 100 contractors supporting 39 companies across 40 countries and over 900 locations. They exclude people from our outsourced services, says Bell, who joined one of New Zealand’s largest publicly-listed companies two-and-a-half years ago. 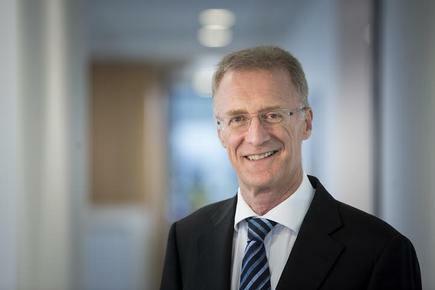 Prior to Fletcher Building, Bell worked as a business consultant for public and private sector organisations, primarily with Deloitte, where he was a senior partner. His major brief when he came into Fletcher Building was to transform the group technology function (GT), as part of the company’s move to better enable the business to grow and differentiate in the market. The three strategic themes agreed after consulting with staff across New Zealand, Australia, Europe, the United States and Asia were – transform the IT function, rationalise the underlying platforms, and drive digital enablement. “Our whole environment was old, unreliable, fragmented, and under-invested,” says Bell. “We didn’t really know how many staff we employed, what assets we owned, what it cost us to deliver the services, and we had very little idea what was happening in the business units themselves,” he says. The due diligence that followed IT outsourcing proposals confirmed that outsourcing would be more costly, requiring investments in the range of hundreds of millions of dollars and take several years to implement. Fletcher Building decided to retain the technology function in-house and to transform from within, he says. This called for a complete reconfiguration of the technology function, which has included centralising 20 IT teams across the globe and taking a more professional approach to delivering IT services. But before embarking on the programme, Bell made sure every member of the technology group was involved in the strategy. One of the challenges was developing a plan that would have the backing of the Board and the executive team, as well as the required financial investments needed to drive the transformation, Bell says. “We had to address the cultural changes required in moving to a function that is focused on supporting the whole business with a ‘customer first’ ethos. This has been the single biggest area of focus and change, and a huge amount of personal investment has been given to lead this change,” he says. Bell adds that the geographic spread has added to the complexity of the programme. He has committed to regular ‘town halls meetings with the GT teams’ in each major location in New Zealand and Australia, as well as in the United States, Europe and Asia. “This clearly takes time, but ultimately work gets done through people, and the key is to win hearts and minds of staff to ensure they are fully engaged, bringing their best selves to work each day,” says Bell. “There was a real focus of who is the customer, why do we exist?” says Roger Brady, organisational change manager, at Fletcher Building. From the feedback of staff across the globe, Bell and Brady explain they created a one-page document that brings all the transformation ideas together. The key outcomes they wanted to achieve were two-fold: ‘Delighting our customers’ and ‘making GT a great place to work’. Bell says they built on the Fletcher Building core values: play fair, be bold, be customer-leading, and be better every day. The transformation of Group Technology involved a major restructuring and included the recruitment of several specialists roles, needed for the transformation but unaffordable in a model where technology previously resided at an individual company level, explains Bell. It also meant that some people who were more comfortable with generalist roles under the smaller business instead of one team as a centralised function also moved on from the group. The company also employed a GM of Digital to provide leadership around the drive to embrace digital enablement. The team was also supplemented by a variety of external partners – and contractors – to help educate and coach the team through agile ways of working. “Over time, we’ve introduced changes and have gradually evolved our processes, governance, and methodologies to allow us to embrace the new ‘ways of working’,” says Bell. This seems to be working as our engagement survey last year showed that 75 per cent of staff indicated that GT was a ‘great place to work’, he says. Being so open about the changes takes courage. Bell says that creating a “culture of appreciation” has been an important theme in the transformation focus. “It’s not about individual heroics but working together to get things done,” he says. However, every day staff go the extra mile for our customers and it’s important that we call out those efforts, he says. This was done by staff taking the time to record those special efforts from their colleagues and then voting to select the most outstanding contributions each quarter. During quarterly town hall meetings, Bell recognises the category winners and then awards an overall prize at the end of the year. He says another tranche of the programme was about shifting the mindset of the team around their work and career. Fletcher Building has offered staff general training courses in areas such as logical thinking, design thinking, and agile, along with more technical and specific training. Bell stressed that the learning doesn’t necessarily need to be technical; the focus is on developing new skills, including life skills. “We wanted staff to understand that continuous learning is a critical factor in being successful, whether in your job, the home and the community. We’ve created a portal with a huge amount of content that people can draw on as part of our commitment,” says Bell. “It has been a huge win for us all. People are using it all the time to pick up on courses. They were learning just in time, on any device. Group technology also introduced a graduate programme. The first batch of graduates came in two years ago and were assigned mentors. Within six months some of them were replacing the staff who have moved on to new roles. The graduate scheme was also introduced in Australia. “It is a two way thing, where we benefit from their skills, passion and enthusiasm,” says Bell. Graduates are now employed in a range of roles in areas such as project management, analytics and service management. One graduate started working at the service desk and has now moved into information security. “We are doing 150 projects a year as part of the transformation programme,” says Bell. “That gives them lots of opportunities to learn and grow. I want people to feel they have the skills and confidence and ability to go anywhere in New Zealand or globally and get a job,” says Bell. Bell says it came to a point where some long-term staff have told him they’ve seen more change in the last two years than the previous 22 years. Brady adds that many organisations recognise only the high performers and they are streamed off and given all the development opportunities. “In our case, we create development opportunities for everyone in our team. I believe our people make a strong commitment because we’re so inclusive,” says Brady. Bell says they measure staff engagement through an annual survey. Fletcher Building runs the customised, annual global employee engagement survey called FBuSay. A follow up survey is held every six months. The company has been running the survey since 2012. It includes 73 rating scale questions (5 point scale from strongly disagree to strongly agree); and 3 open ended. Over 50 different business units participate. Over the past two years, the survey results reflected a noticeable change in the culture of GT with the group becoming one of the top 25 per cent performers among the organisation’s business units across many of the key metrics measured. Jessica Xu, talent management solutions consulting lead, for IBM New Zealand – which provides the survey – says in other organisations, most employee engagement scores plummet when a major change is implemented. However, this was not the case with the technology team at Fletcher Building. She says in the 2017 survey, GT achieved an unprecedented 100 per cent response rate from staff. She says GT also delivered significant improvements over 2016 in all key metrics. The biggest gains were in the areas of: perceptions/confidence in post-survey action, performance-driven recognition, career growth opportunities and perceptions of the senior leadership. 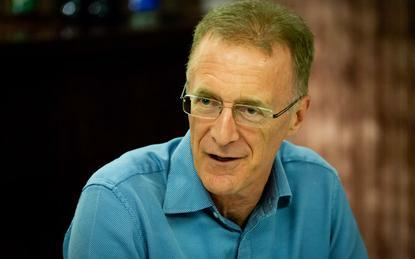 Bell shares lessons learned from the transformation programme. “Never lose sight of the true north, particularly when the going gets tough. We’ve tested on this a few times, it is so easy to compromise and violate for expediency,” he says. Bell says he and the Group Technology leadership team wrestled over whether to change, at the same time, the more sacred areas of terms and conditions, compensation inequities and inconsistencies in short term incentives, bonuses and other benefits. Bell also espouses what he describes as ‘servant leadership’. “It is not about you, it’s about your team. It doesn’t matter how smart or talented you are, you simply can’t deliver outcomes alone. “The job gets done when people work together. My job is to help ensure staff have the skills and resources to get the job done but the most important people are the ones on the front line, engaging every day with our customers. It’s them that work around the clock to resolve a P1. “I also have a role to play but stand in awe every day as I witness the dedication and commitment of our staff. I’m committed to helping make their job easy and better,” says Bell.